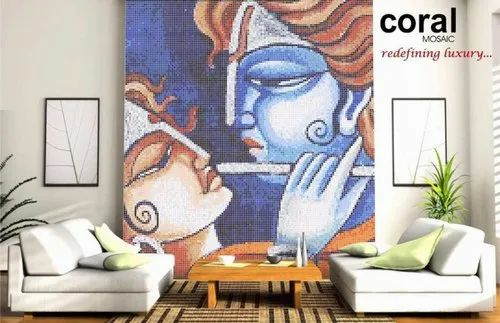 We are a well-known Manufacturer of Wall Murals, Swimming Pool Mosaic Tiles and Glass Mosaic Tiles. These tiles are used for corrosion resistant, abrasion resistant and possess a longer life. We are engaged in manufacturing a wide range of Wall Murals, Swimming Pool Mosaic Tiles and Glass Mosaic Tiles. These products are further tested to ensure their flawlessness and effectiveness. Furthermore, these have a robust construction, are dimensionally precise, efficient and offer a long service life. These have an excellent surface finish and can be procured in various shapes & sizes, as per the client's requirements.